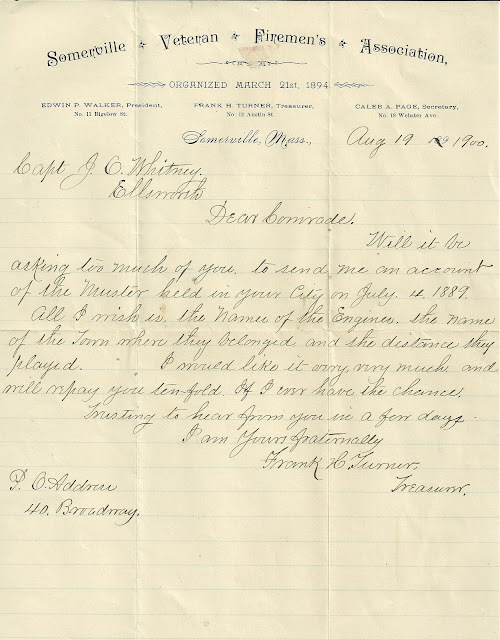 1900 letter from Frank H. Turner, Treasurer of the Somerville Veteran Firemen's Association to Capt. J. C. Whitney of Ellsworth, Maine, regarding the recent muster. No. 11 Bigelow Street No. 12 Austin St. No. 19. 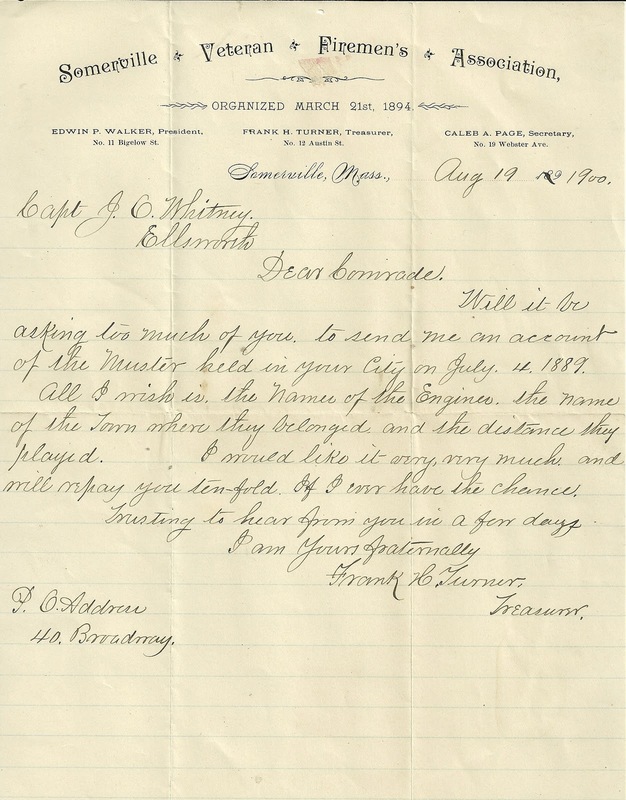 Webster Ave.
Will it be asking too much of you to send me an account of the Muster held in your City on July 4, 1889. All I wish is the names of the Engines, the name of the Town where they belonged and the distance they played. I would like it very, very much and will repay you ten-fold. If I ever have the chance. I wasn't able to pinpoint a J. C. Whitney of Ellsworth, Maine, but I found that Francis Henry Turner was born in February of 1838 or 1839 in Charlestown, Massachusetts, the son of Francis and Temperance Turner. He married Harriet Curtis, daughter of Rufus and Rhoda Curtis, in 1864. I found them in the Censuses of Somerville, Massachusetts from 1870 through 1920.